At long last got around to revamping the Hittite footsoldiers. I had around 120 from 20 years ago, since when more pictorial interpretations have been published and superior figures produced, unfortunately in 28mm starting with Foundry rather than 15mm. 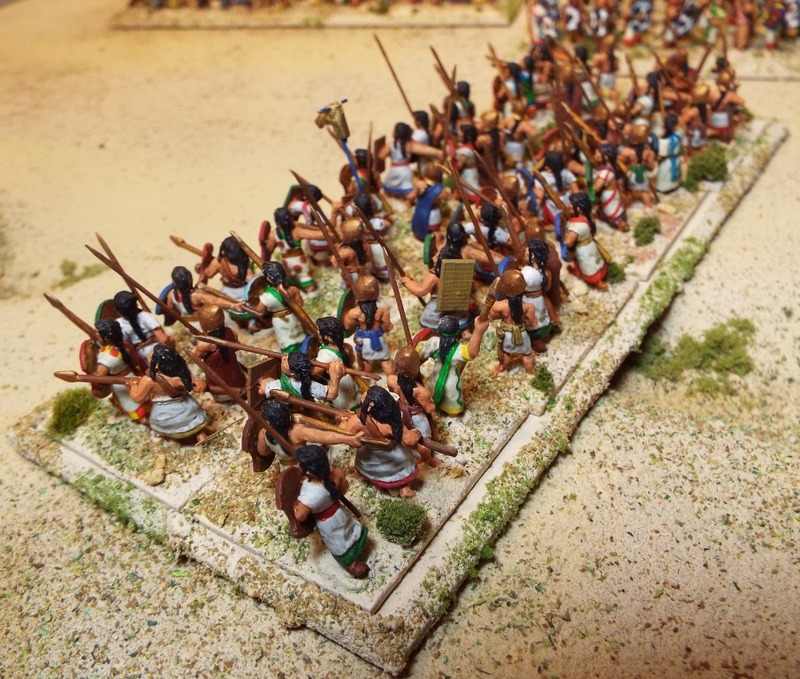 I had a fair stock of unpainted figures, and decided to pad them out with some suitable figures that I could convert to Hittites. Not too hard to find kilted figures with helmets that came close, but didn’t manage to find any without beards, and of course pigtails were a bit thin on the ground. The cloak-style jobbie that leaves the left arm free, while protecting the side of the body, is a particularly Hittite feature as well. 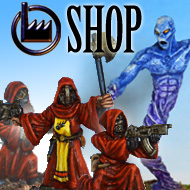 I was also looking for some figures wielding spears 2-handed. Sumerian spearmen from Magister Militum were the best options I found. I had to trim off the beards, which was a bit of a faff. Pigtails were easy with green stuff. Mainly the long one down the back, but I also did some with the side pigtails over the front of the shoulders. I got one pack of the Sumerians with the thick protective cloaks, figuring that the concept was similar to the Hittite garment and that some may have opted for this type of protection. I carefully pared away the metal disks on the outside of the cloak, on the basis that they were too distinctively Sumerian. All of my original figures had Dipylon? style shields. I wanted to put in a good number of rectangular shields for variety to reflect those interpretations mentioned earlier. In some cases the dipylon shields were reused to give variety to other figures, after being carefully cut off figures using either a craft knife or razor saw, depending on which figure it was and how hard the metal was. The rectangular shields were produced from plasticard, scored into 6mm by 8mm rectangles and snapped apart. A few were scored to represent bare wicker, but most were left blank. The original figure all had the shields painted in bright geometric colours. I wasn’t really happy with these, and decided that repainting them as mottled cowhide, with a variety of coloured rims, would not only look more effective, but would also draw the different shield shapes together. Where I thought it was necessary, I replaced spears with pins, having hammered the point flat to create the spearhead. I wanted some figures to have long spears as some have proposed that these were used by some Hittite infantry. 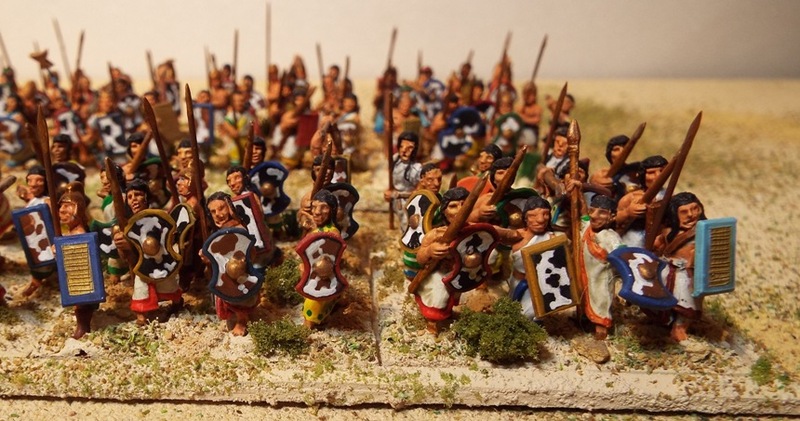 1 unit of close order infantry with Javelins and large shields. 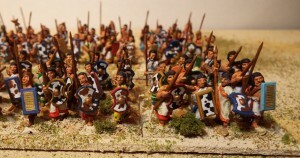 2 units of close order infantry with javelins and smaller shields. 2 units with a mixture of javelins and longer spears and a greater variety of gear. These would represent either city levy raised either in an emergency or for local use, or following the collapse of the Hittite empire, remnants of different units banded together to form larger units.